Join the Church of the Holy Spirit for a new Thursdays at Three series on The Sign of Jonas: Launching into Thomas Merton. Thomas Merton (1915-1968) was a prolific and popular writer, activist, and mystic whose profound influence is still being felt today. Join Fr. Adam Linton for this exciting new exploration of Merton’s life and work this October, as part of the ongoing Thursdays at Three Adult Education series. All sessions will be held in the Church of the Holy Spirit Parish Hall, beginning at 3:00 pm. Series begins October 3 and runs every Thursday through October 24. October 10. Viewing the second portion of the film biography. The Sign of Jonas. Prologue “Journey to Nineveh” and Part One “Solemn Profession” (pages 3—87). October 17. Viewing the final portion of the film biography. The Sign of Jonas. The introductions (printed in italic) of Parts Two, Three, and Four (pages 89—93, and 125—128, and 181—183), and then the whole of Part Five “The Whale and the Ivy” (pages 229—301). October 24. The Sign of Jonas. Part Six “The Sign of Jonas” and the Epilogue “Fire Watch, July 4, 1952” (pages 303—362). While reading the indicated sections is not necessary for participation in the series, it is recommended that those who will be doing so read the indicated portions before the session in which they are listed. This entry was posted in Fr. Adam Linton, Thursdays at Three on October 4, 2013 by Beth Dunn. Heads rolled and bodies were burned! On the following Thursday, April 25, we will present a look at our Book of Common Prayer and how it evolved, with special emphasis on Thomas Cranmer, who did most of the writing and translation from the Latin for the first text, issued in 1549. Many refused to say the Lord’s Prayer in English because they were afraid that then it wouldn’t work! The third session, May 2, will include a celebration of the Eucharist using the 1559 Prayer Book and music by John Merbeck. Changes will be made following the directions in the Prayer Book, including the use of a table and not the altar. Don’t miss these lively and informative sessions at 3:00 pm on Thursday, April 18 and 25, and May 2. All sessions are in the north transept of the main church building. This entry was posted in Thursdays at Three on April 5, 2013 by Beth Dunn. The Church of the Holy Spirit’s “Thursdays at Three” program will be something quite special during the season of Advent this year. Join us for an exploration of the Blessed Virgin Mary, the mother of our Lord, in this three-part series of conversations in the weeks leading up to Christmas. Our time spent together will include an exploration of related music, drama, and poetry, as well as a wide variety of images of Mary from around the world. Join us for this very sacred time together as we gather in the North Transept of the church to learn more about Mary. If you have not yet experienced our “Thursdays at Three,” this may well be the perfect time to start. This will definitely be a series you will not want to miss! Please feel free to bring your friends along with you to this special and sacred offering. All events will be held at Church of the Holy Spirit in Orleans, MA. 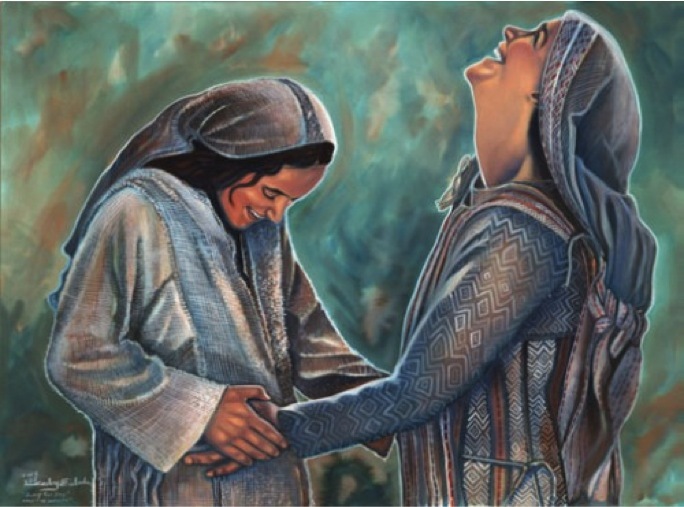 This entry was posted in Thursdays at Three and tagged art, mary, music, poetry, spiritual formation on November 17, 2012 by Beth Dunn.